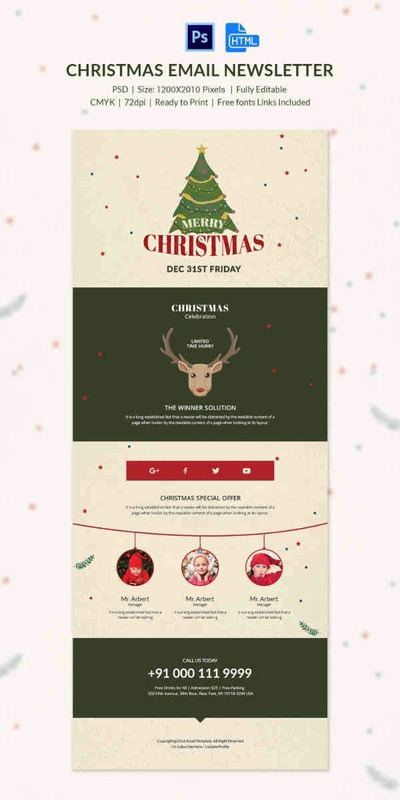 Christmas is the time when markets are abuzz with action; marketers can give a massive push to their businesses by riding on the joy wave that Christmas brings with itself. 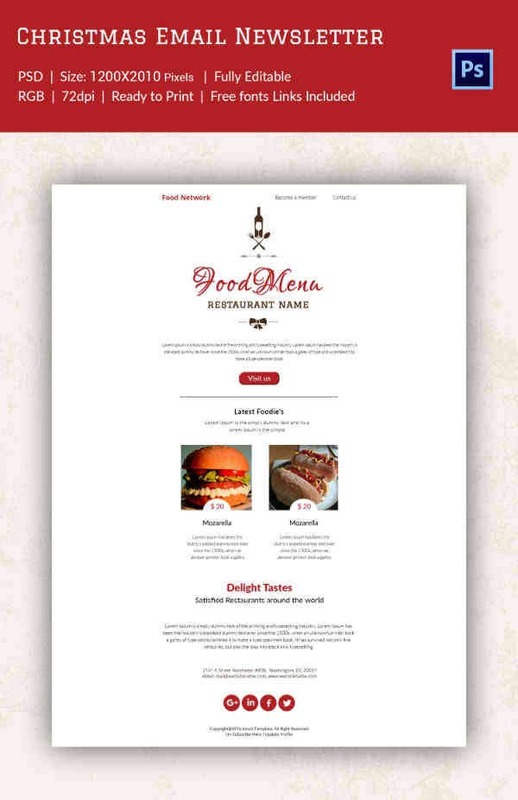 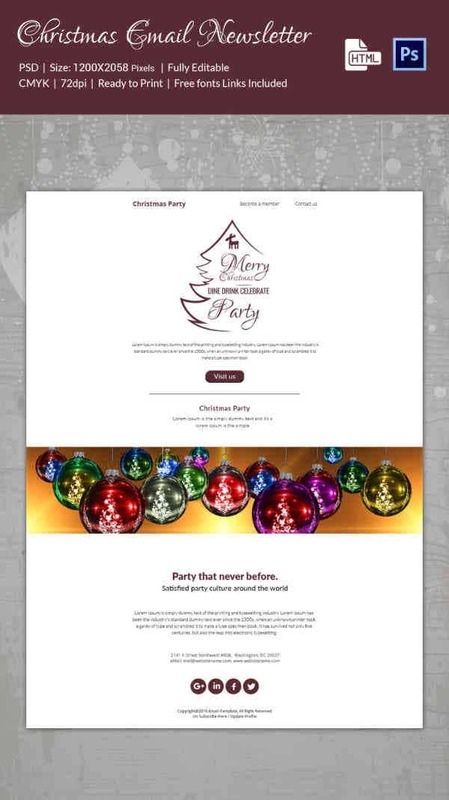 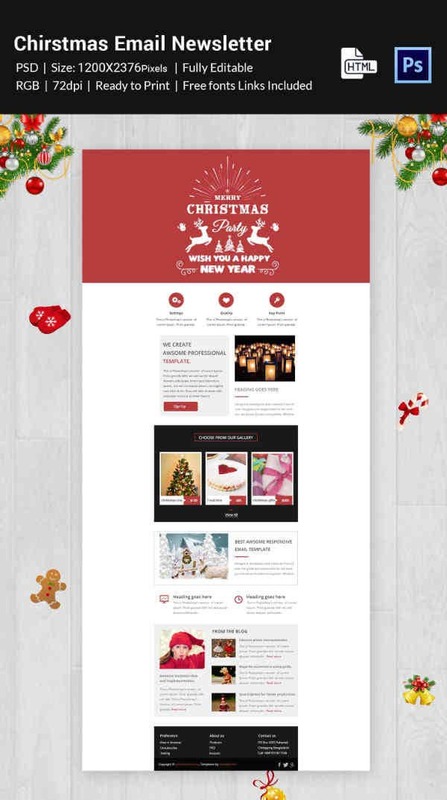 Marketing your websites and attracting some eyeballs in the Christmas seasons is made manageable with Christmas Templates, email and newsletter templates. 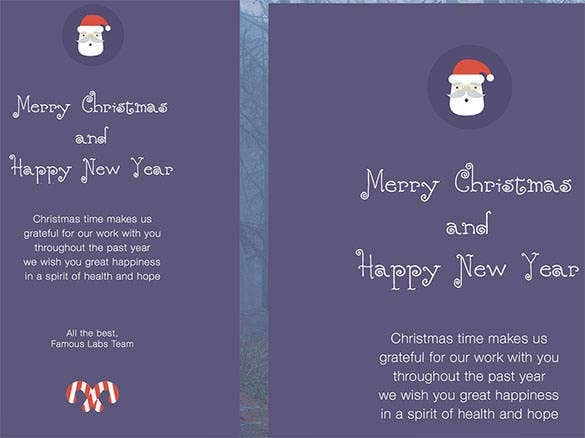 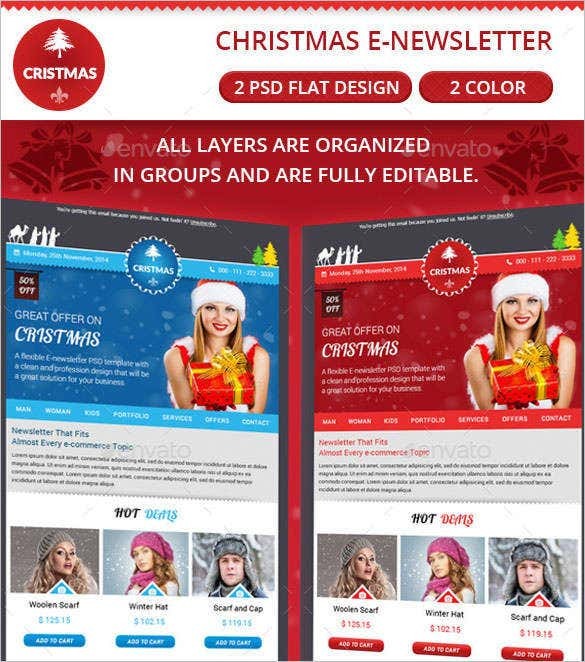 This 2 Christmas email newsletter Photoshop gives you two different templates you can use as a newsletter to promote your business this festive season to clients at very affordable rate. 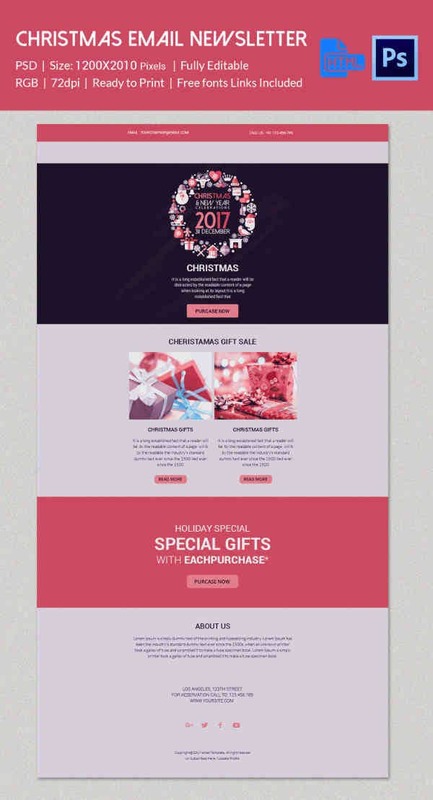 If you want to promote your business online, Christmas shopping offers e-commerce newsletter will come of great use to you. 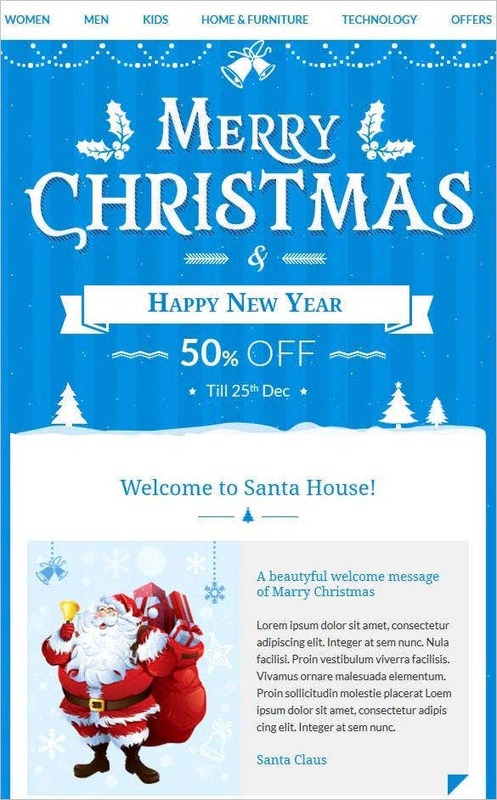 It’s vibrant and eye catchy to serve your promotional purpose. 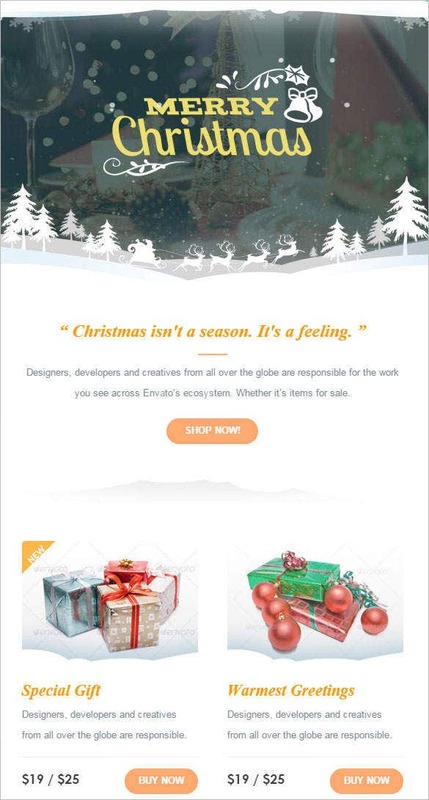 This Christmas snow email newsletter allows you to send the details of your latest brands and offers to all your customers to lure them o buy your products this season. 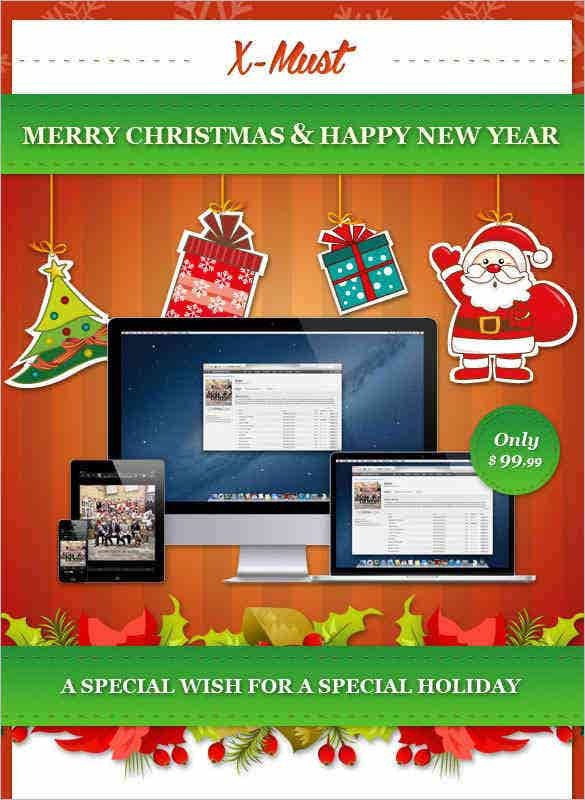 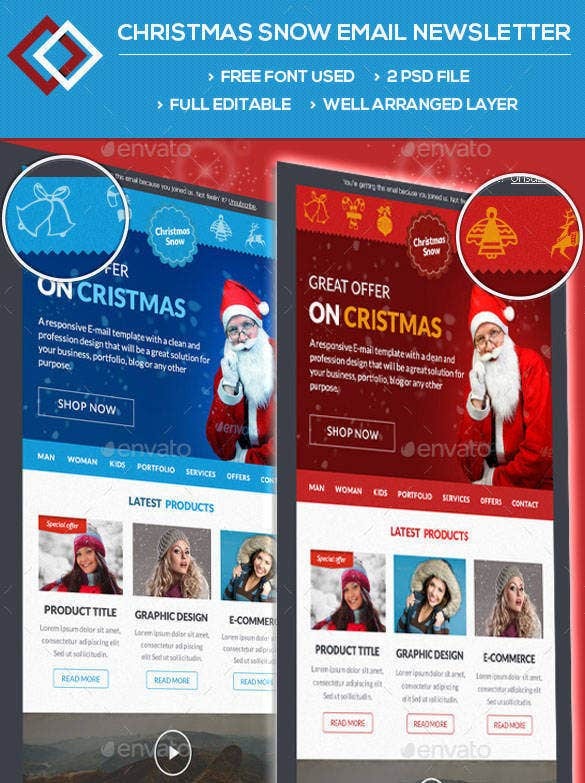 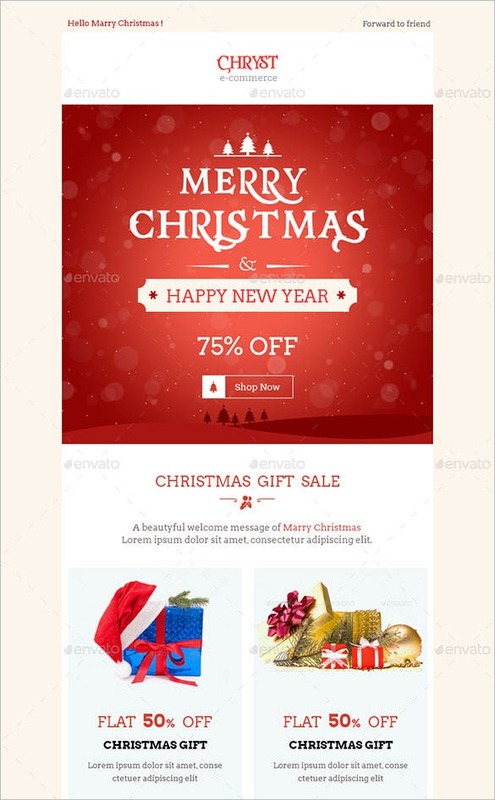 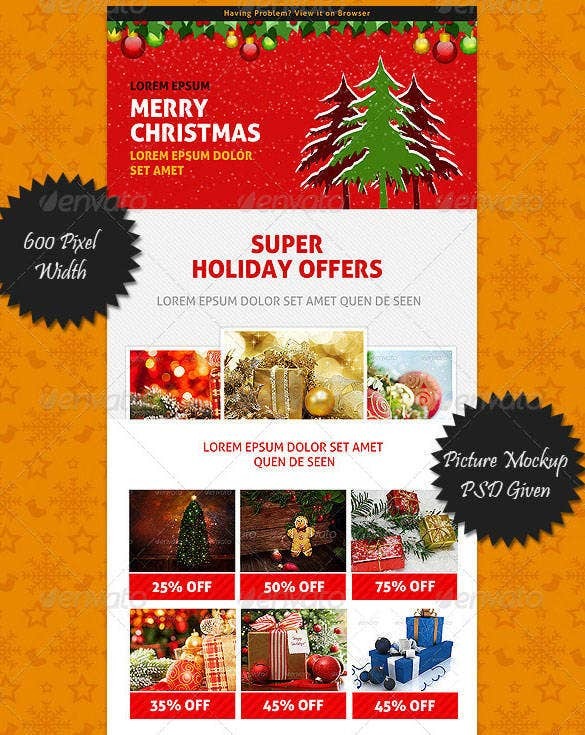 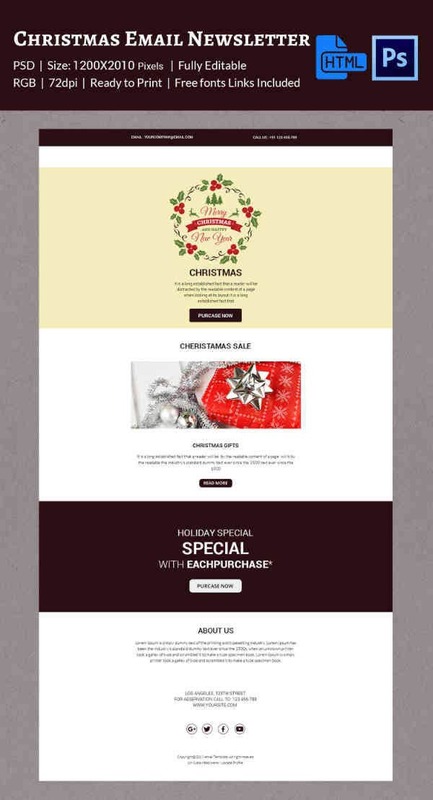 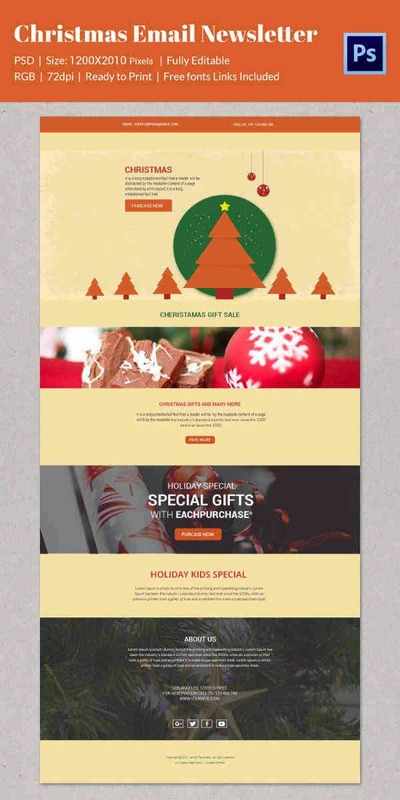 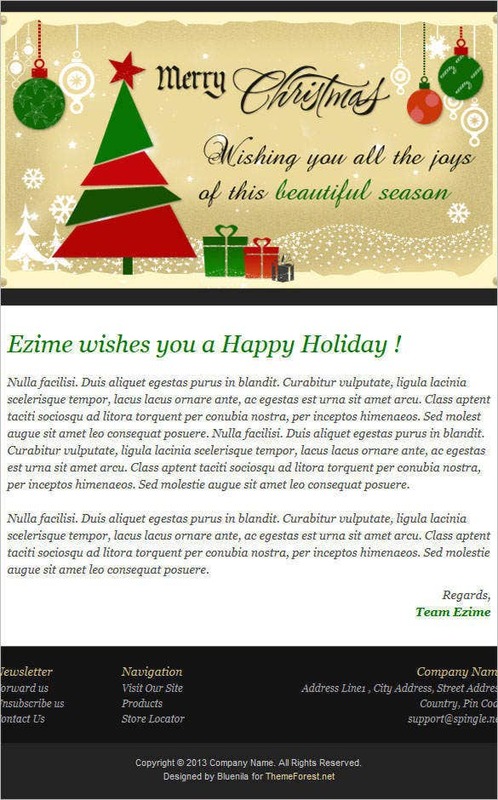 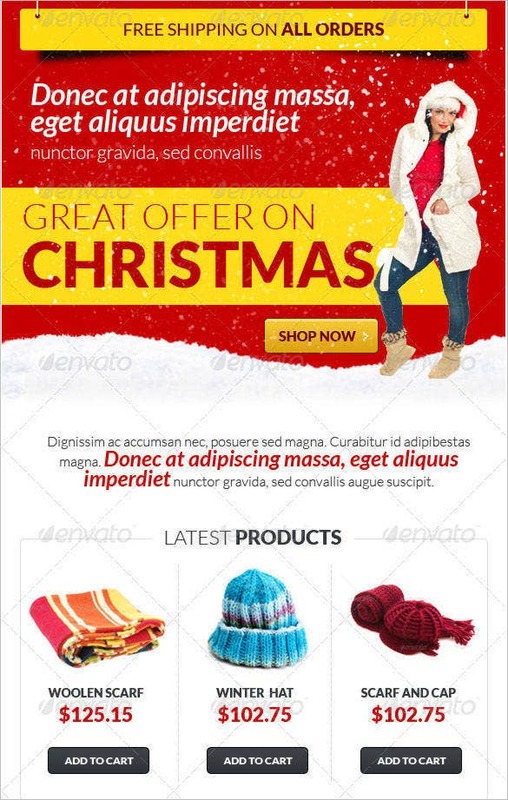 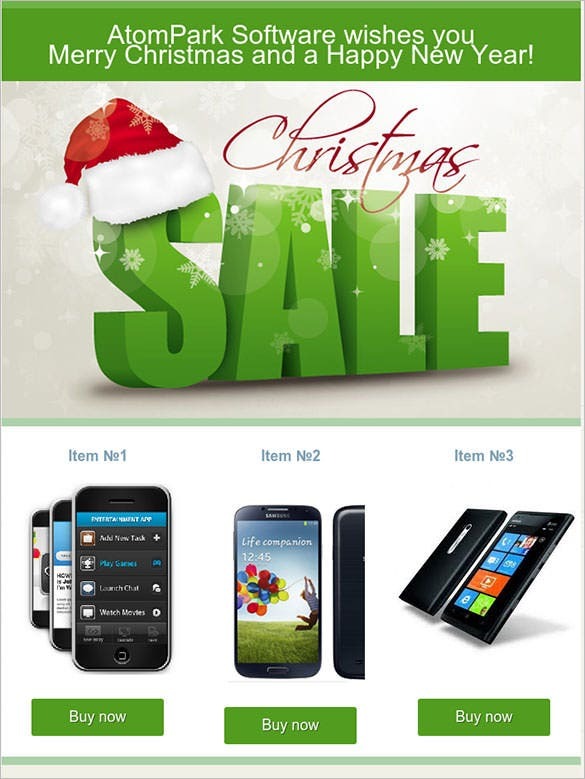 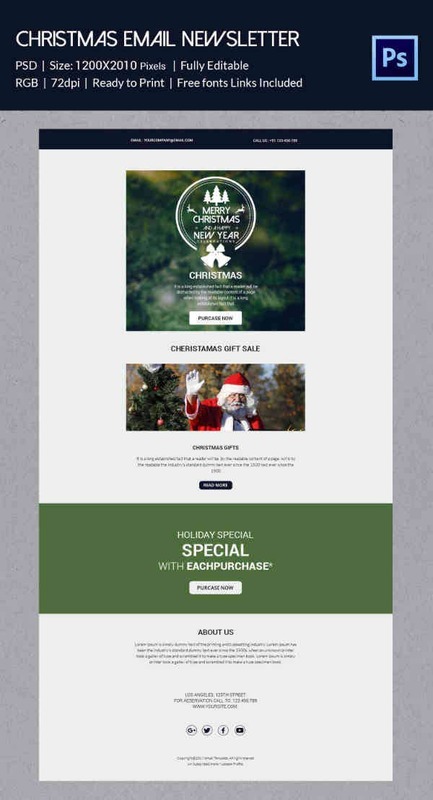 If you have an e-commerce business and want to promote new offers online, use this exclusive Christmas newsletter template html format to make your offers livelier and attractive during Christmas. 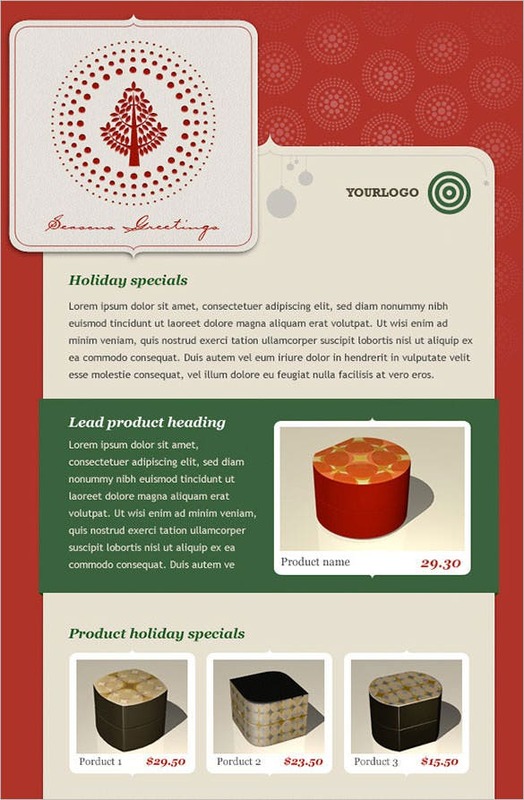 Christmas e-commerce newsletter template allows you to wish your customers and also inform them about your products and at affordable cost. 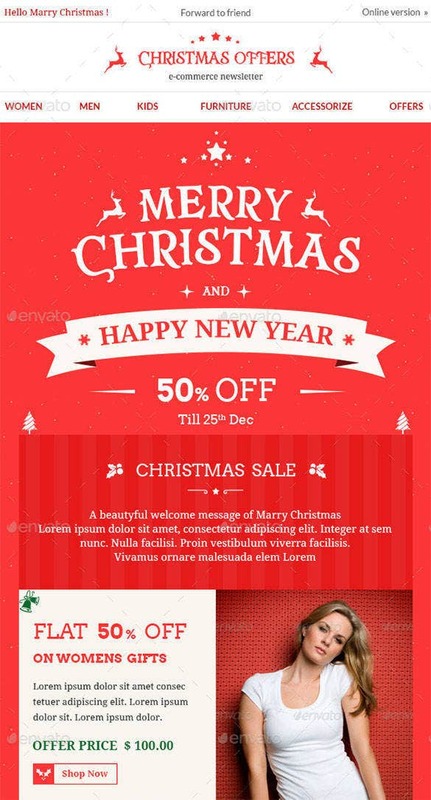 Its red and white combination is totally Christmas perfect. 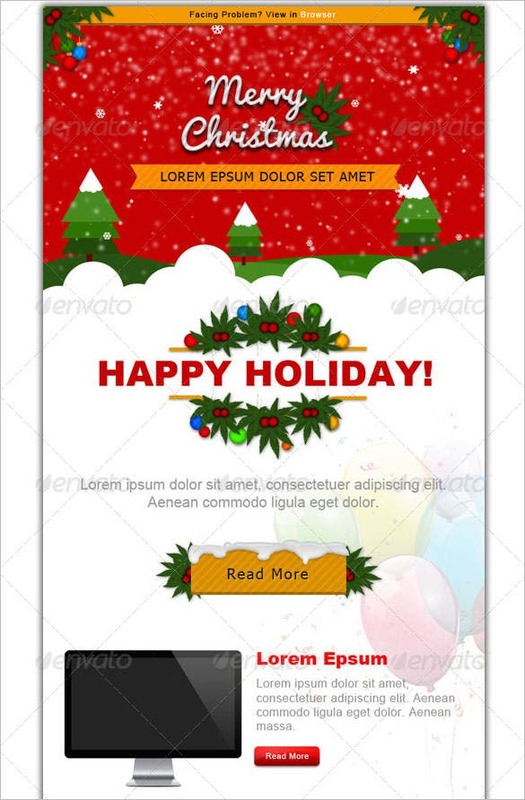 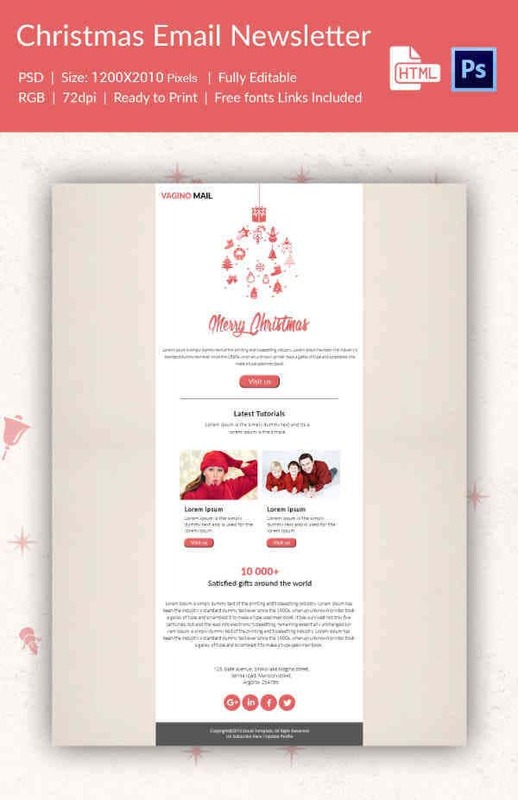 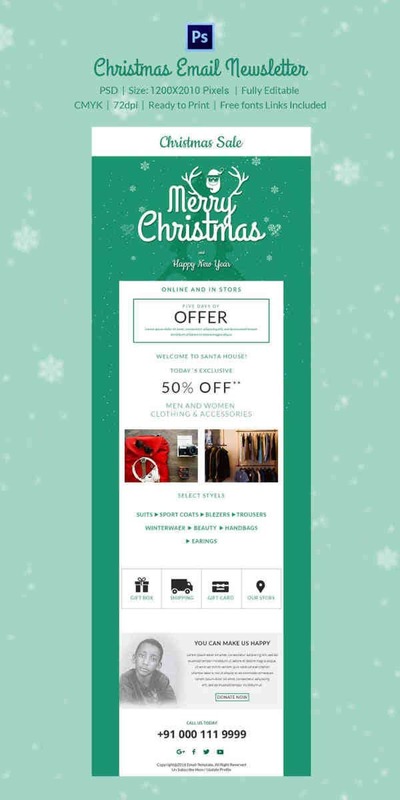 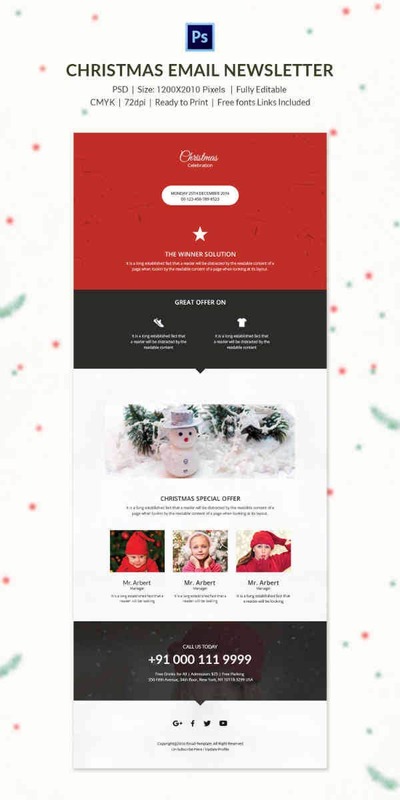 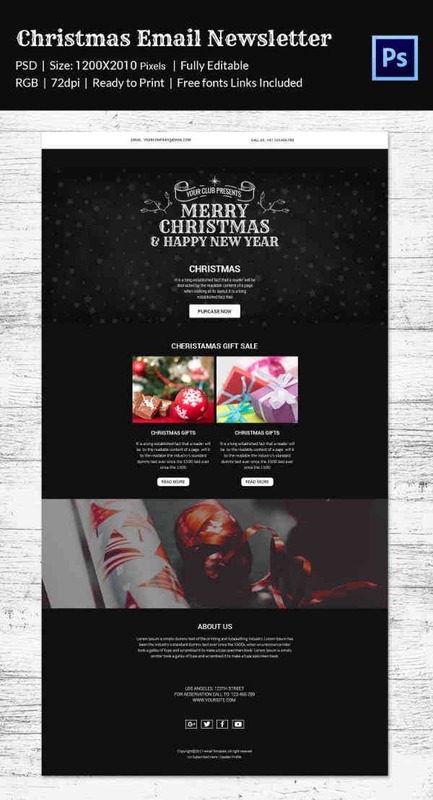 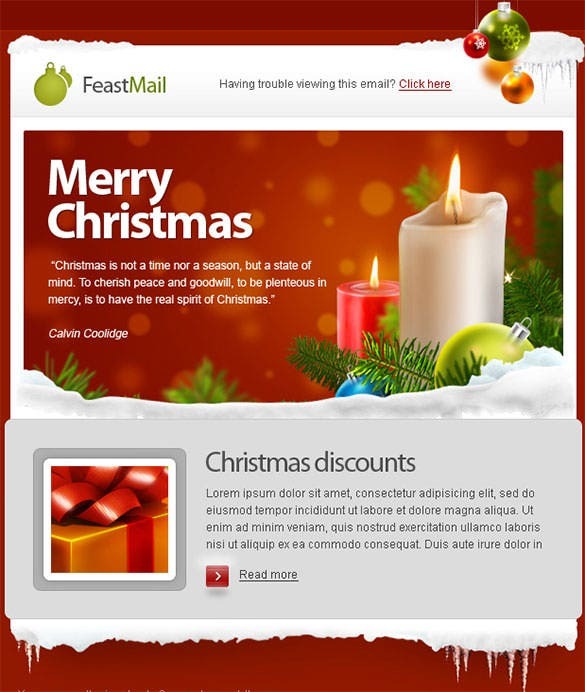 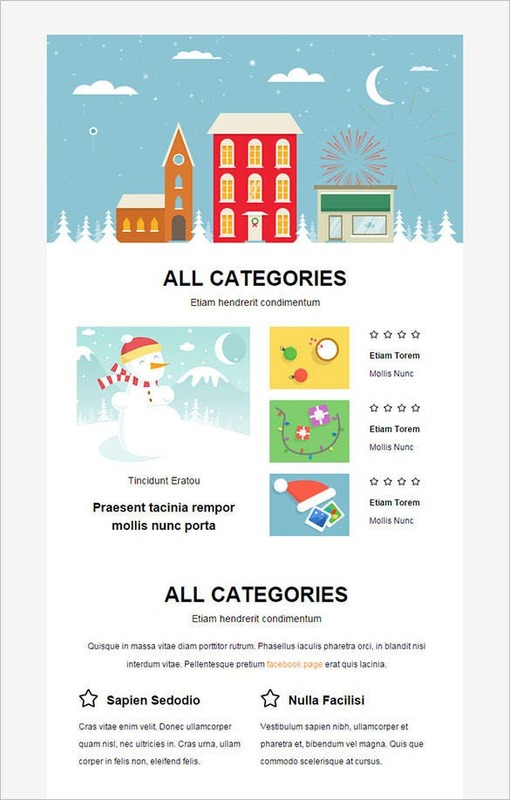 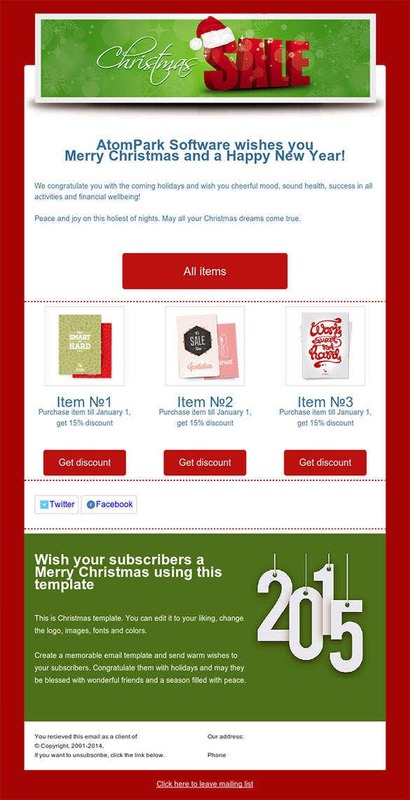 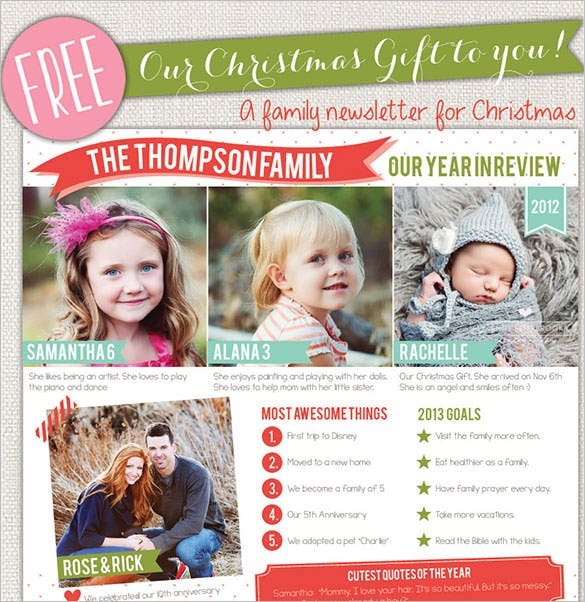 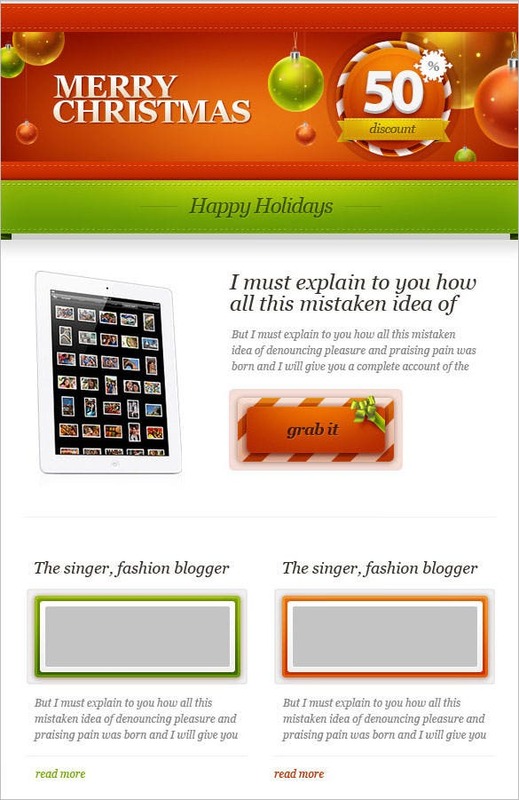 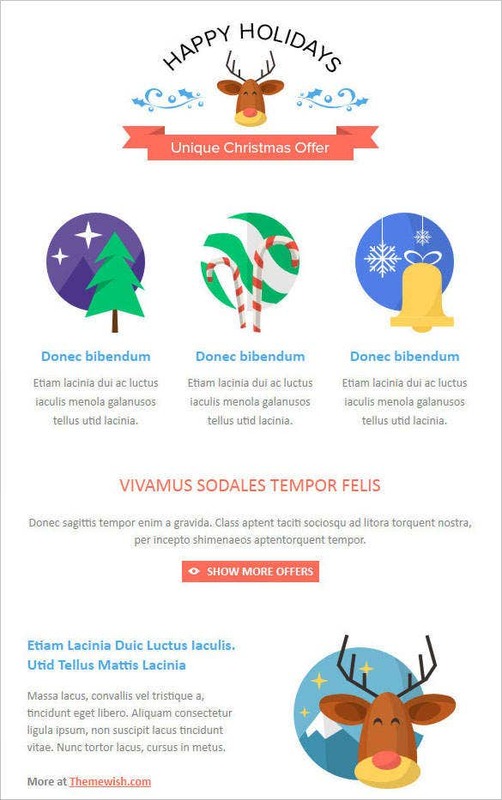 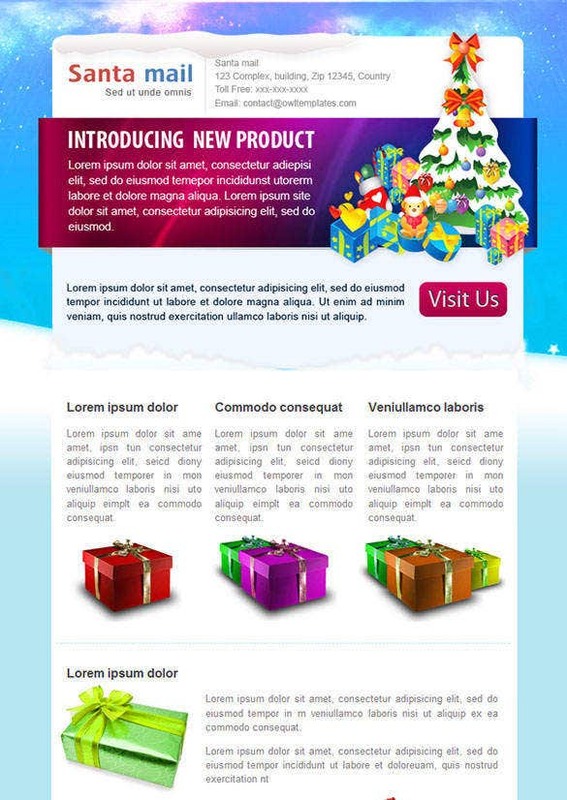 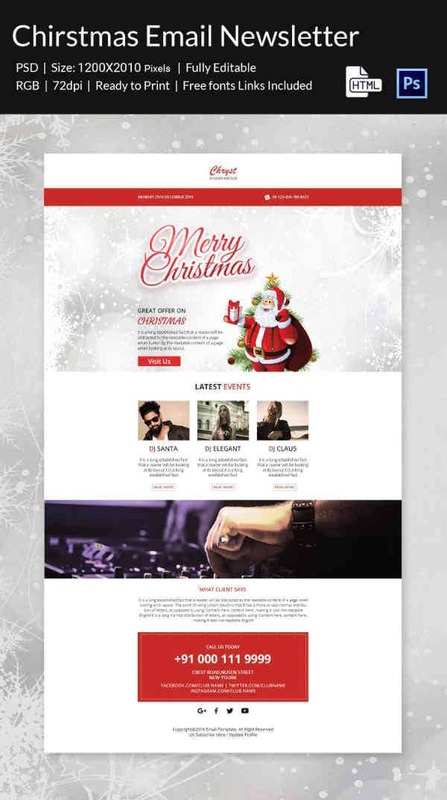 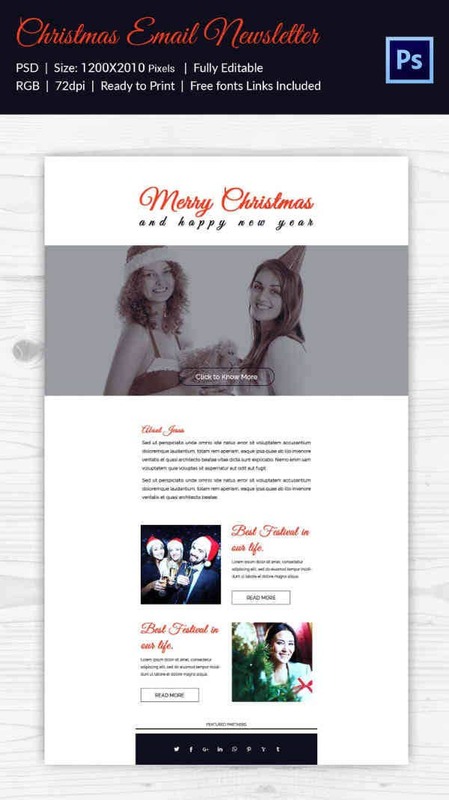 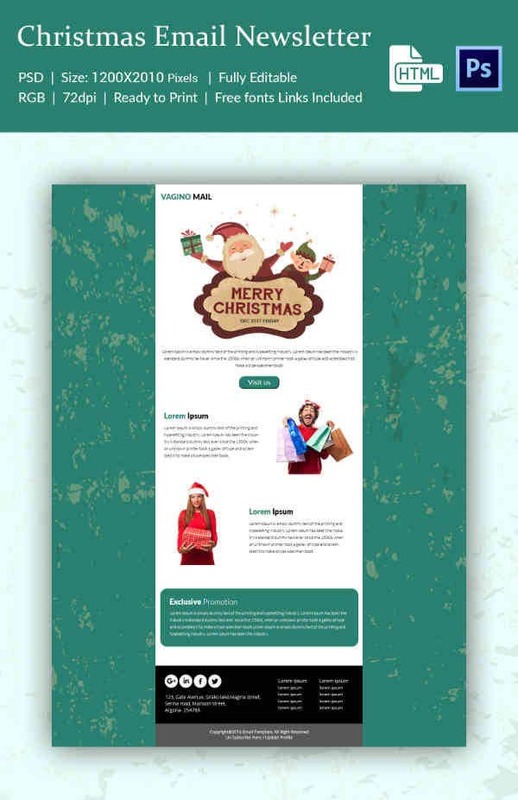 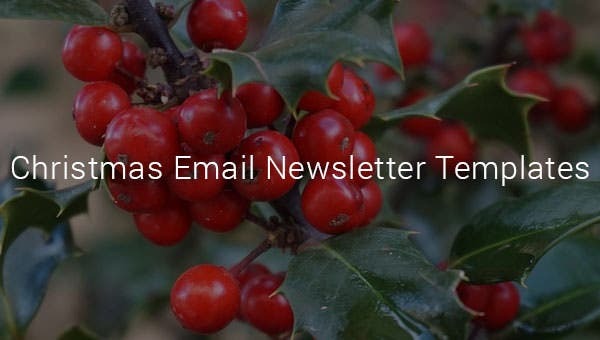 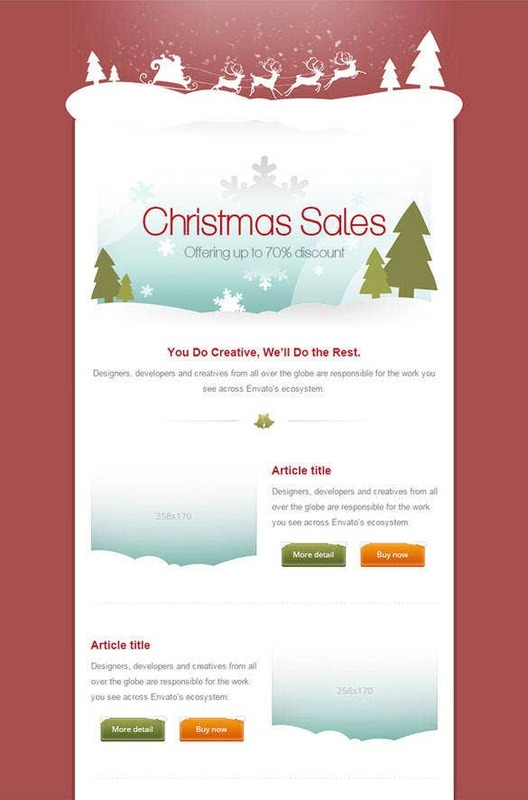 This Christmas email newsletter template can be downloaded for free and sent across to your customers wishing them this season and also promoting your offers online to attract their attention.